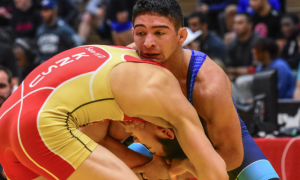 The first crop of overseas tournaments involving United States Greco-Roman athletes has been completed, which means it’s time for the first edition of the 2019 Overseas Medal Count. 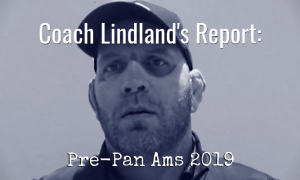 It all started back in February, when a sizable delegation of Americans traveled to Croatia for the first of two United World Wrestling “Ranking Series” events, the Grand Prix Zagreb Open. Placement within the top-five at a ranking tournaments brings with it points, and the US had three athletes do just that. Xavier Johnson (63 kg, Marines, world no. 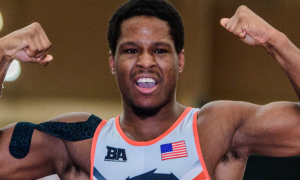 14) led the charge with a silver, G’Angelo Hancock (97 kg, Sunkist, world no. 3) earned bronze, and Travis Rice (63 kg, IRTC, world no. 9) came in fifth. 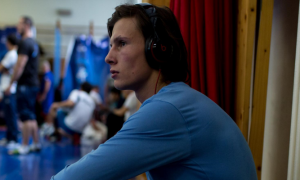 Next up was the Hungarian Grand Prix — where Hancock once again found the podium, only this time he took the top spot after downing University World champ Fatih Baskoy (TUR, world no. 11) — and for the second tournament in a row, Rice battled to a fifth-place finish. 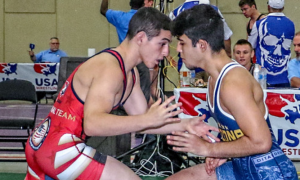 The Juniors grabbed center stage earlier this month in Austria, as six wrestlers earned medals. 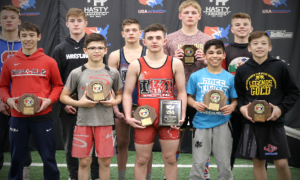 David Stepanian (55 kg, NMU/OTS) won his first international gold, but he wasn’t alone in the “first” department — returning Fargo champ Haiden Drury (WA) collected his maiden foreign piece of hardware in the same weight class by taking third. Delon Kanari (60 kg, NMU/OTS) came away with silver (also his first major foreign medal) and Mason Hartshorn (60 kg, NMU/OTS), Noah Wachsmuth (67 kg, OTC), and Keaton Fanning (87 kg, NMU/OTS) all took bronze. Last but not is Thor Masters, which went down two weekends ago in Denmark. Despite several otherwise strong performances, the US only saw one athlete finish in the proverbial money — Hancock. Two golds, two silvers, and six bronze. Seniors have earned four medals, the Juniors, six. 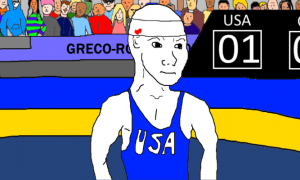 Premiering this week will be Entry #2 in the USA Greco Gold Medal Series and the featured subject is none other than Mike Houck, America’s first World Champion (1985). Although Houck later became just as well-known for his influence as a coach (including leading the National program from 1990 through 1995), the dawn of his standout career as a competitor is the focus for much of the discussion. That doesn’t mean his coaching hat fails to make an appearance — there are a few questions highlighting Houck’s unique ability to effectively communicate his mental approach and philosophies regarding the sport. And to be sure, the innovative nature in which he and his contemporaries went about preparing to take on the planet’s best is also revealed. Simply put, there is so much to learn from everything Houck has to say, so please, look forward to that. 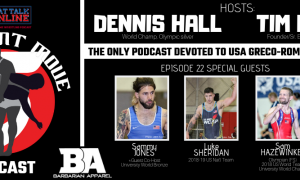 Your (somewhat) regular dose of inspiring words, knuckleheaded antics, or thought-provoking questions from your favorite US (and sometimes international) Greco-Roman athletes and coaches. How many consecutive appearances for this guy? Meanwhile, this is Woods’ first and he made it a good one. Another from the Denmark group. Here is Morrow. Opportunity to learn from Marines.